During March 2019, the Minister of Works presented a request to Parliament to approve a supplementary budget to finance the purchase of two planes for the Airline. I picked a few business lessons from the parliamentary proceedings. The minister's request almost got thrown out by parliament because shortcomings in the company registration details of the new company. The lesson is when you start or run a business, ensure that the ownership and identity of the business is properly registered with relevant authorities such as company registry, tax body and local councils. This is because people who do business with you mind about those details. The mistakes that delayed parliament from assenting to the financing request for the airline were quite basic. The mistakes perhaps dragged on due to lack of a competent board of directors and full-time management for the airline. Any business, including a public one such as the nascent Uganda Airlines, can benefit from having a competent governing board and keen full-time management. When parliament expressed concerns about the company registration details, I liked that the Minister of Works apologised and quickly fixed the error. Business has gone beyond the error of saying: "Goods once sold, not returnable." When you make a mistake, apologise and make quick amends. 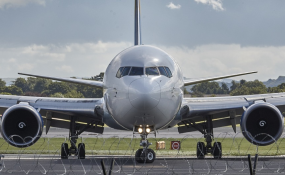 Every business needs cash: cash to fund capital expenses such as buying planes in the case of an airline and cash to fund working capital needs. Being a public entity, Uganda airlines can turn to parliament for a supplementary budget. But even that is rather shabby, when there was a chance to put this request in the main budget allocation. For a private business, always plan for your cash early.